On Friday, Ally Smith scored twice and Dani Nelson added a goal and an assist to lift the No. 22 Bemidji State University Soccer team over regional DII opponent Michigan Tech at Chet Anderson Stadium. Smith now has 2 goals and 2 assists while Nelson has 2 goals and an assist this season. Then on Sunday afternoon, the Beavers upset DI opponent University of North Dakota Beavers with a Rachel Norton tally off a deflection in the 78th minute for the 1-0 win. The goal was Norton’s second of the season. 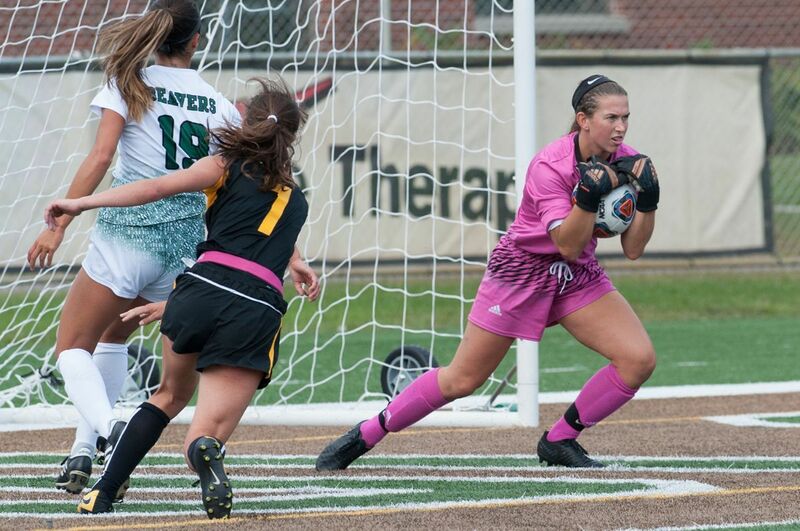 Senior goalkeeper Anna Fobbe made four saves in the shutout. The win is the first in program history over a Division I opponent and stretched the Beavers’ winning streak to four matches to open the season. The Beavers are now 4-0-0 overall and 1-0-0 in Northern Sun Intercollegiate Conference play. BSU returns home to Chet Anderson Stadium Friday for a league match up with St. Cloud State University. Tune into the Beaver Radio Network for the pregame show beginning at 2:30 p.m. followed by the opening kick at 3 p.m.